Water is one of the most abundant molecules in the universe. It covers 70% of our planet’s surface and accounts for about two thirds of every individual’s body weight. While potable water is a far more limited commodity, the U.S. and other wealthy countries have been able to provide it in immense quantities for the past century at nominal cost to the individuals at the end of a tap. This cost seems particularly insignificant when compared to the resources it takes to produce and ship billions of plastic water bottles every year. Given the comparatively lower cost, why has there been a growing trend to forego the tap and pay for bottled water? There are a variety of reasons for this shift though one of the dominant motivations is that there is a perceived taste difference between bottled and tap water. To involve students in testing this phenomenon, the CURes Education Program, led by Tricia Amarillas, partnered with three teachers from Bassett High School in La Puente, California. Tricia and educator, Levi Simonson, facilitated classroom lessons at the school to immerse students in studying how much taste factors influence consumers decisions to buy bottled water in the first place. They used CURes’ Urban EcoLab curriculum’s Module 5, which covers the themes of Water Quality and Public Health, to make this connection. The three classes at Bassett High School tasted water from five unlabeled sources and scored each sample on a scale of one to five (five was the best tasting and one was the worst tasting water). The students aggregated the scores in an online spreadsheet so that they could calculate the mean and standard deviation of each taste score. They then plotted the mean taste scores for each of the sources along with their cost per liter in order to visualize the relationship between the two variables. This exercise led to a class discussion covering the following concepts: error bars, best-fit functions and the coefficient of determination. The students calculated all of these values and graphed them using the online graphing utility plot.ly The error bars in the plot represent the variability of the classroom’s taste scores for each water source. The students set the error bars as the standard deviation on each taste score as a way of demonstrating the variability, or fuzziness, in quantifying a value like taste; The greater the size of the standard deviation relative to the mean the greater the uncertainty in the data. The student also determined the best-fit function, a way of visualizing a “best guess” relationship between variables on a plot. They chose a linear model as a test case. The students finished the analysis portion of the class activity with a calculation of r-squared, the coefficient of determination. This value helps to explain how well a best-fit function describes the data on a graph; a value of 1 implies that the function perfectly describes the data and a value of 0 implies that the function has nothing to do with the data. Our value, with an r-squared value of about 0.2, implies that only about 20% of the cost of the water sources that we examined is related to its taste. If only 20% of the value of water has to do with taste what drives the other 80%? Can we reliably quantify taste? How many people, seeing these results, would change their minds about where they get their water? The students finished this project with more questions than they had when they began and we hope that these ideas will lead them to further explorations of the interactions between the social and ecological systems that surround us. Patricia Amarillas is the Director of Education at CURes. Her professional experience encompasses over 15 years of private and public school teaching with an emphasis on literacy education. Ms. Amarillas uses her teaching background to develop, lead and support teachers and students in Science, Technology, Engineering and Math (STEM) education curricula. In particular, she oversees the Urban EcoLab Curriculum, the STELLAR Project and CURes’ Urban Ecology Teacher Academy and Teacher Workshops. Her interests and expertise lie in bilingual education, multicultural education and content literacy. She has an M. Ed as a Reading Specialist from the University of La Verne, a Secondary Education credential (English) from the State of California: Azusa Pacific University, a Bilingual Transitional Credential (Spanish) from the State of Illinois and a Bachelor of Arts in Sociology from California State University, Fullerton. Ariel Levi Simons is a former physics teacher and informal science educator. After obtaining an undergraduate degree in physics from the Illinois Institute of Technology he went to University of California, studying physics and education before graduating with both a science teaching credential and masters in education. His teaching career started with teaching high school math and science in charter and private schools in the Los Angeles area as well as English as a second language in Seoul.It was during these experiences he practiced developing various curricula based around his experiences as an undergraduate and graduate researcher. Later this idea grew from building various science courses entirely around research projects to building a course around what students would want to research. Working with his wife, and other members of the Science Teachers And Research (STAR) network, he coordinated a water quality monitoring and mapping project with a number of high schools along the California coast. This experience, in addition to being involved with the Los Angeles-based engineering and artists group CRASH Space, has formed the basis for his involvement with Safecast in their efforts to establish a community-based radiation monitoring network for Japan following the meltdown at Fukushima. 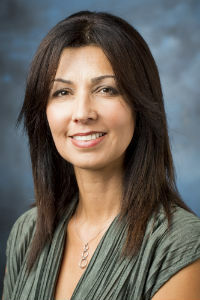 Ariel is currently involved in expanding a student research network in Los Angeles, mentoring students in Los Angeles to develop their own projects, as well as connecting communities within the K-12 education and research communities.